Be The Bank for our Edible Home Gardens LUXURIOUS Green Home Community! Leverage YOUR Assets, Be the Bank and Call the Shots! Want to Learn HOW to "BE THE BANK" and start Leveraging YOUR Assets? Set up a Managed Account and start Leveraging YOUR Money! FUNDING FOR: ALL forms of gold coins and bullion; other precious metals, jewelry & art! After setting up the Managed Account, you can borrow back between 50% - 70% (Based on an account with either: $500k minimum or $1M+) of those funds and leverage those funds through trade or set up a Mirrored Account, or “lend out” those funds in order to “BE THE BANK” - while still making a ROI on the WHOLE AMOUNT! 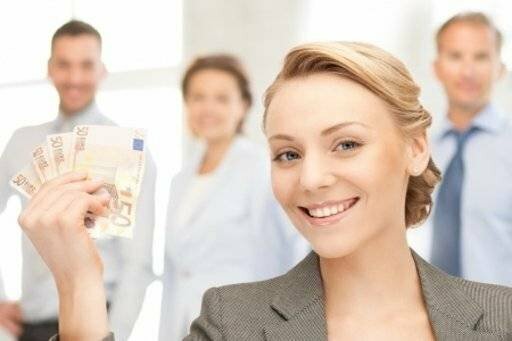 Member can “BE THE BANK” by Lending and making an additional ROI! Registered Investor Advisor can also accept assignment of CD to trade – does NOT have to move - account must be in the client’s name & assignable. 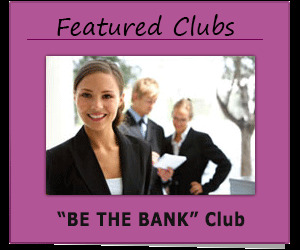 Call a Be the Bank Specialist at: 888-JV-BANK-1 / 307-702-CLUB (2582) and start Leveraging! "BE THE BANK" and become a Clicky MASTERMIND Investor! Clicky is the NEW "Cross-Promote" Club for Professionals! CrossPromote YOUR Businesses, Clubs, StoreFront & Products, Videos, Posts, Articles, Blogs, Jobs - just about anything with Clicky's NEW "CrossPromote: Click" feature that can also help you to make money - see below! The ALL-IN-ONE Clicky.Buzz / Click2Call combines a FULL Spectrum Platform for ALL YOUR Business Contacts, Events & Marketing needs! Clicky's "CrossPromote: Click" is the perfect tool to help you reach a wider audience of OVER 200 + different Click, Share and Submit venues to choose from - Including favorites like: LinkedIn, Twitter and Facebook! What is 1% of BILLIONS what is 10% of Billions? Did you know that 50% are DEMANDING an alternative to YouTube, Twitter and FB? Clicky: The ALL-IN-ONE Platform that combines Social Media / Business Networking, Product Marketing, LIVE and Recorded Video Broadcasting Channels with FREE Click2Call Online! Clicky has Entry Level Programs & Terms that start as low as $25k for 25.25% ROI the first year PLUS a $100K long-term Bonus! ClickyPhones: The COMPLETE Conference Phone System across all 3 major platforms: Phone, Desktop and Website! Clicky & BuzzChatLive is the creative ALTERNATIVE solution to the OLD social media which is now BLOCKING FREE Speech! YOU can LEVERAGE [LEND] YOUR assets from a Managed Account while still earning money on the WHOLE amount! Learn more about leveraging/lending YOUR assets through a Managed Account, OLD 401k, or Self-Directed IRA. Private Financial Club can help you Fund your owned BG for 85% - 95% LTV!! Bring your connections into the community. Invite those you think will enjoy this club.